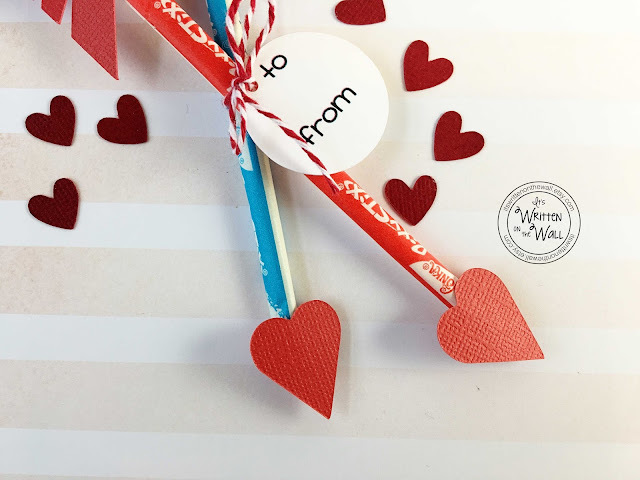 Valentine's Day is right around the corner and I'm sure you want the perfect treat for your kids to take to school.....one that their classmates will remember and love and one that will be easy for you to make. 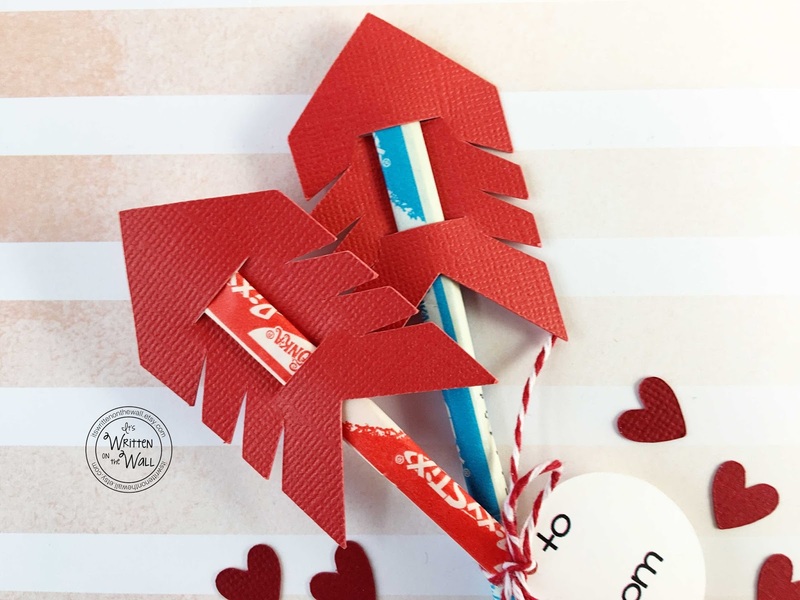 These Cupid's Arrow treats are so easy to put together. It will take no time at all. It's a kit where you will have everything you need to make these except the pixy stix candies. Here's a closeup of the feather. Just slip the Pixy Stix through the openings. We use premium cardstock and twine to make up this kit. You can find a package of Pixy Stix candies everywhere and for as little as $1.00. Check out the dollar store or your local Shopko for a good price. Use a glue dot, glue or glue strips to adhere the arrows to the bottom of the Pixy Stix. I said it was easy didn't it?